Impale Thyself Upon The Full WHAT WE DO IN THE SHADOWS Series Trailer | Birth.Movies.Death. Don't let the energy vampires get you. Folks, the What We Do In The Shadows TV series is so close I can feel it (glamouring me to watch it, then sucking the blood from my throat). How close? March 27th. Like...seven weeks. That’ll fly by - especially if you’re immortal and time has lost all meaning. Lotta good gags in there, pretty much all of them fitting into the tone established so firmly by Taika Waititi and Jemaine Clement in the original film. Some beats feel maybe a little too reminiscent of the movie - calling a house meeting about basement hygiene is effectively a Mad Libs B-side of the film’s dirty-dishes scene - but there are plenty of original jokes in there. Best of all is Mark Proksch’s character, who as an “energy vampire” is both a clever writing choice and an insanely effective casting choice. Anyone who’s seen Proksch’s terrific turn in Another Evil will be with me on this one. 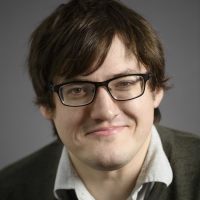 Elsewhere, it just all looks super solid and well-crafted, using minimal effects for maximum effect, and bearing little of the dumbing-down many Kiwis, at least, feared with the show being remade in the United States* (specifically, set in Staten Island, which itself is pretty amusing). The cast - Proksch, Matt Berry, Kayvan Novak, Natasia Demetriou, Beanie Feldstein, and Doug Jones, among others - is top-notch. The film's other recent spin-off, Wellington Paranormal, was too. I can’t wait. The first of ten What We Do In The Shadows episodes hits FX on March 27th. * It is telling, though, that it's advertised as being "from the director of Thor: Ragnarok." 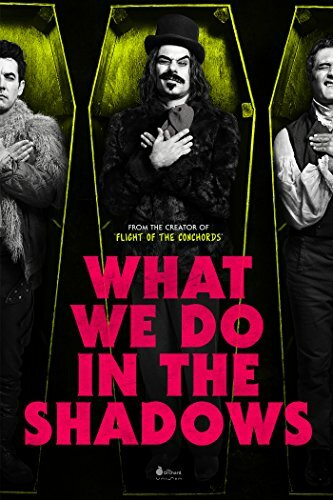 Although I suppose "What We Do In The Shadows, from the director of What We Do In The Shadows" would sound a little redundant. Amusing, but redundant.